Inspired by the bistros of France, these stackable Dark Navy Kaliko French Bistro Chairs Set of 2 feature a lightweight frame that resembles wood but is made of aluminum, offering enhanced protection against rust and scratches. 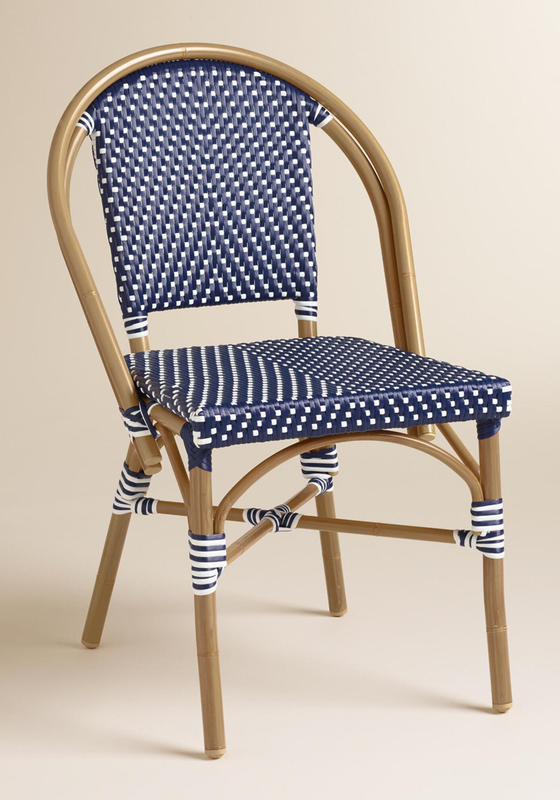 Weather resistant all-weather wicker in dark navy and antique white covers the seat and back for a vibrant look. $239.98. Buy here.